A few weeks ago, the day before I got on the airplanes, it was 85 degrees and humid, here in Southwest Florida. That was the high for the afternoon; I think it started about 65 or so. I love late March-early April here in Florida. It is the best time of the year. It is seconded only by mid-October to late-November, when things finally cool off a bit, after our adventures with rampant Heat and Humidity in the Summer months. 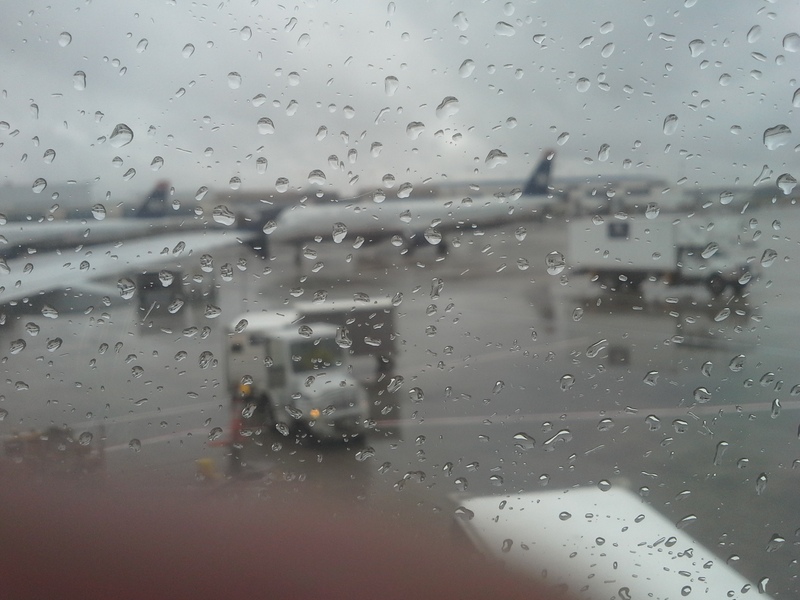 So on a Thursday the week before Spring, I got on the first of 2 airplanes to go north, and the air is immediately drier on airplanes, and that’s an adjustment. When we arrived at our location, it was something like 20 degrees outside, and there was a stiff wind blowing. And that was the HIGH temperature that day. I bravely put on my winter coat and hat and gloves and scarf in the airport baggage area and made whimpering noises as I picked up my rental car. I figured out how to make the heat work, but never did master the high beams. I was thankful that my Father has great shelter and heat, so I was warm and toasty during my visit, unless I went outside. Oddly enough, this trip I went outside a whole lot more than I normally do when I go visit this time of year. And it was bone-chilling, let me tell you! On Monday, the day I was supposed to fly back to Southwest Florida, I woke up at 4:00 AM. I was thirsty. I got a cup of water and looked out the window. I saw a light dusting of snow! “Oh no!” I thought, I don’t want to drive in snow!” I went back to my warm bed and fell asleep in spite of considering how my driving would be impacted by snow. Continuing on south from Charlotte to RSW, the airport for Southwest Florida. Got off the plane, and noticed it was about 65 degrees, windy, but humid. I can take that weather. I love humidity. I have never been so happy to return to Southwest Florida!! Whale Maiden-Suburban Shaman Blog at WordPress.com.